Hashtag madness is everywhere! Some posts you can barely read because they are full of pound signs and blue hyperlinked words that make your head spin. On Instagram, smart posters have established a more visually pleasing habit of either posting in a comment or pushing them below so their creative commentary isn’t compromised. On LinkedIn- ok fine they work again, but CALM DOWN people! Facebook too- one or two, max. 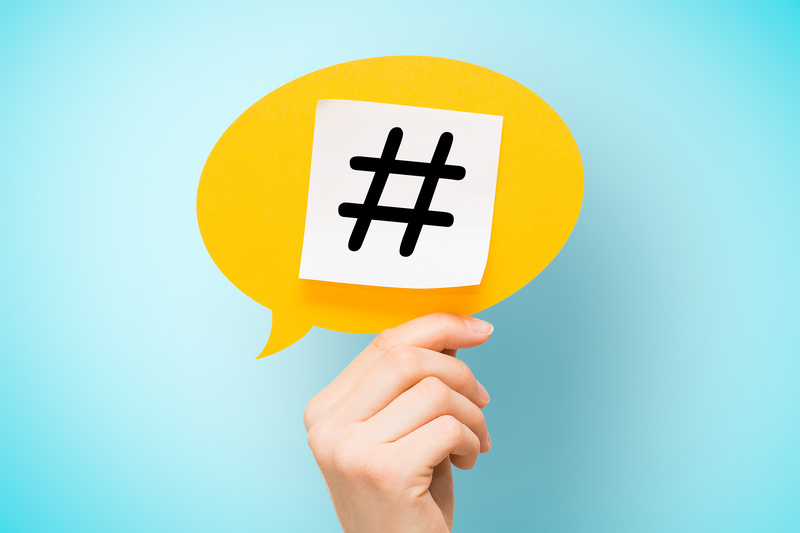 Whether you like hashtags or not they are here to stay, and they can be very useful to expand your community following, post engagement, focus on a filtered conversation and create relevant new connections. Yet, every day we see hashtagging for the hell of it. Just like any other part of your social media implementation, hashtags should be used with intention. Why? It gets you in front of the right audience, not a random audience. It properly categorizes your content to present to those looking for it. If you put vocal emphasis on random senseless words in a live conversation, wouldn’t it turn people off? Same goes for online conversation; excessive hashtagging is visually off-putting. Too many hashtags take away from the context of your content. Make it complement, not detract from your copy. Haphazard hashtaggery looks like a desperate cry for attention. Use a site like Hashtags.org to check activity levels. I may write an article on social media strategy and use #strategy in a Tweet to share the article link. Does it matter? If only a handful of people are using it (like 100), there’s probably not a large engaged community looking for it. From this, I’d look for other keywords to hashtag with more popular conversation around it that influencers are using, as well as some in the middle of the road for volume. Then there are those recurring trends like #ThrowbackThursday, #MotivationMonday, “WomanCrushWednesday”, etc. Are you hopping on trend for the sake of trend? Or is this truly getting you the exposure you are hoping for? Let’s take a look at the stats for #MotivationMonday from Twitter analytics. If you have a social media plan with consistent content development behind a weekly #MotivationMonday post, and your audience is female executives between the age of 35 – 54 who are looking for business coaching, your creative budget and posting time may be best spent somewhere else. Now, there is certainly nothing wrong with doing this for fun, or creating emphasis for the day! But if you are trying to establish an ROI generating content tactic for your business, take a look at the numbers so you spend your time and money wisely. Before using Instagram, research Instagram. Search out the hashtags you think are popular and see the types of images categorized there and the engagement they get. If one image stands out with more engagement- look at what OTHER hashtags that post used. See who is using those hashtags and if they are part of a strong, engaged community that is likely to participate. Yes, this does take some time, but once you’ve done it, store your list of relevant hashtags to copy and paste into your posts as a time-saving tip. This read from Later.com is an exceptional read on Instagram hashtag research and using them wisely. Bookmark it and take the time to follow the steps to establish a solid hashtag strategy! What do you find to be the most annoying hashtag habits?